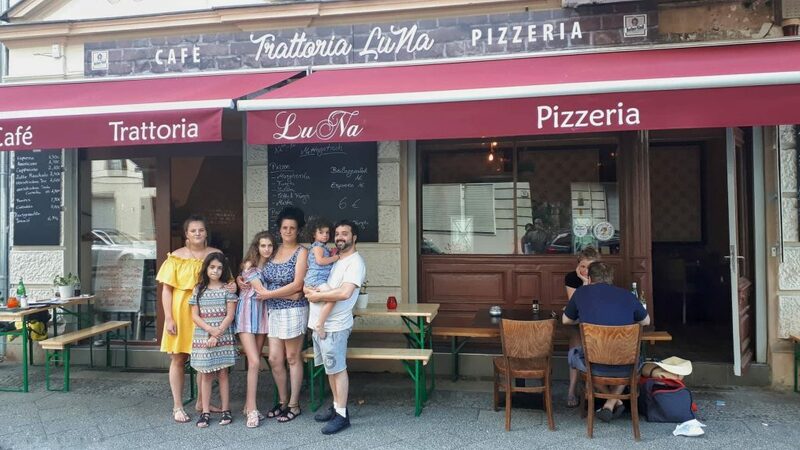 A pizza maker from Frosinone has opened with his 4 daughters and his wife an Italian restaurant in Berlin, whose name is LuNa. Luigi Dirma has a German wife, who manages the administrative aspect of the restaurant, and four special collaborators (some of them are operative while others are a moral support) his daughters: Virginia, Tiziana, Leoni, Loredana. The name of the restaurant is linked to the first two letters of the names Luigi and Nadine, who are husband and wife of a beautiful family, which is almost completely feminine. The trattoria/ pizzeria has opened this June and it is located on Gotenstraße 18, in Berlin in the area of Schöneberg, between the S-Bahn stations of Südkreuz, Julis-Leber-Brücke and Schöneberg. Luigi is pizza maker for 20 years now and he proposes a great variety of pizza such as: margherita with mozzarella di bufala, bresaola and arugula, potatoes with rosemary, pears, gorgonzola and nuts. 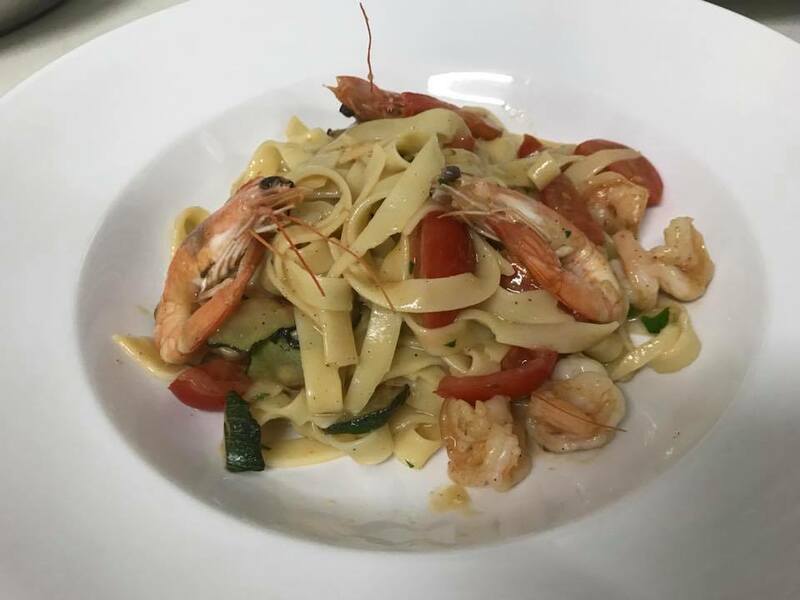 In the menu, you can find also classical dishes of the Italian gastronomy (such as tagliatelle all’arrabbiata e alla carbonara, but also more creatives receipts such as pasta with ‘nduja and zucchini and other receipts, which are chosen week by week, depending on the availability of seasonal products. 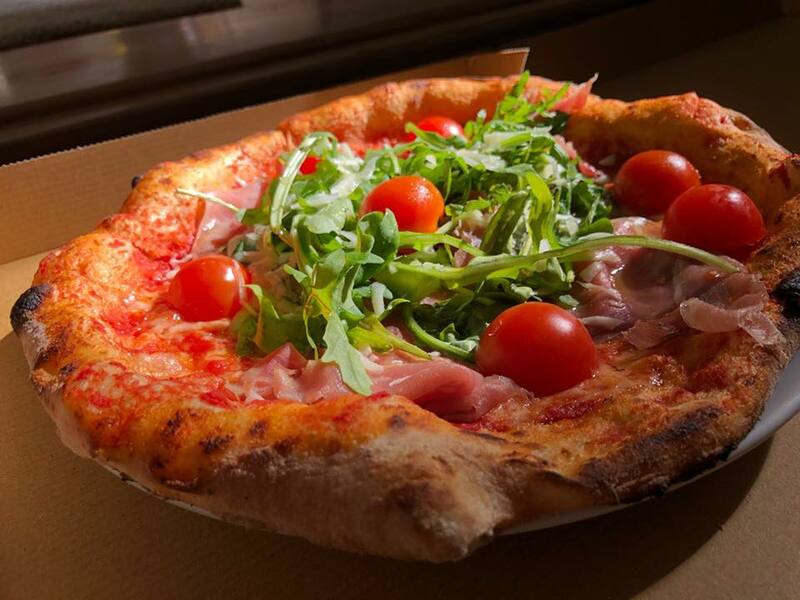 «Our aim is a restaurant, which is focused on pizza, but also on typical simple flavours of the Italian trattoria. The majority of the products comes from Italy. 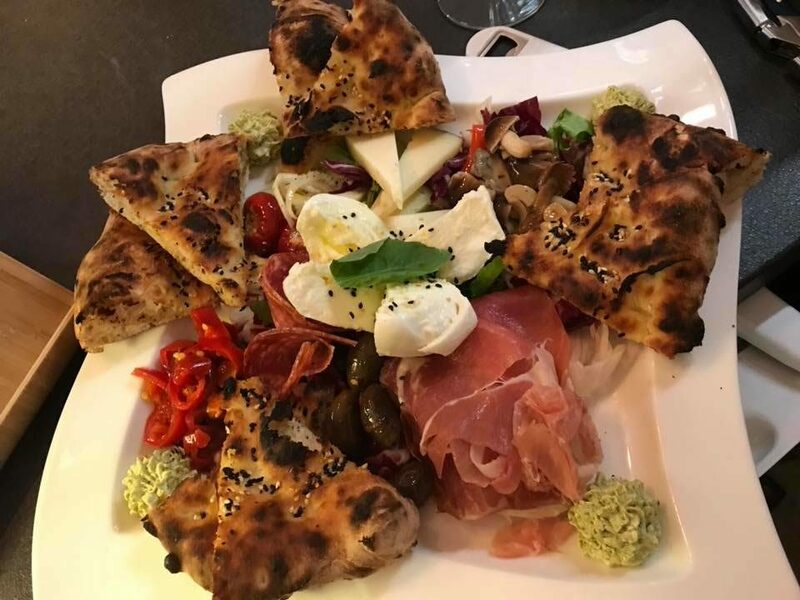 On the basis of our local providers, we can prepare also pizza such as: pizza with sausage and friarelli , pizza with burrata and pasta with fish of high quality». «Because of technical reasons, we were not able to establish a wood-fired oven and this is the only reason why my pizza should not be defined as Neapolitan tout court. Despite this, our oven is excellent and the difference is minimum. The pizza presents a Neapolitan style. We prefer the dough with wholegrain flour, with long maturation and high hydration (minim 75% of water), so highly digestible. The ingredients present a high quality: the flour is certificated from Pizza Schule, the tomatoes from GustaRosso and the mozzarella from Fior D’Agerola».In a short time LuNa has gained the sympathy of many clients, both from the district and from other areas of Berlin. Besides the quality of food, a fundamental role is also played from the peculiarity of the restaurant. «We are in an ancient building, of 1907 with beautiful inlaid roofs. In the last years, the restaurant was both a butcher shop and a Späti. Thanks to all restructuring works, we enhanced the beautiful wall, covered from red and white bricks, original from the butcher shop, which are still untouched. Where this change was not possible, we decided to resurface all red bricks, which were more hidden». « I am born in 1977, I moved to Germany when I was only 12 years old and I started to work in the area of foodservice when I was really young. For me it was a hereditary vocation, because my mum was barmaid while my father was a chef. However I’ve always been attracted by the profession of the pizza maker, and for this reason I decided to take courses at Pizza Schule, established from Umberto Napolitano». Over the years he has become a teacher of pizza, gaining the possibility to work in restaurants such as Terracruda and Malafemmena. In the meanwhile, his love life was getting richer through the wedding with a German woman (Nadine) and through the birth of four daughters. «All my daughters represent the heart of the restaurant. The youngest is 3 years old, only the eldest daughter sometimes helps us as waitress, when she wants and has free time. The other three are still often with us. We like the fact that the others consider us as a family. This element helps us to establish a natural contact with clients and to live a not stressful job, considering it as a growing opportunity. It is really a familiar kitchen». Open every day from 12a.m. – 11 p.m.